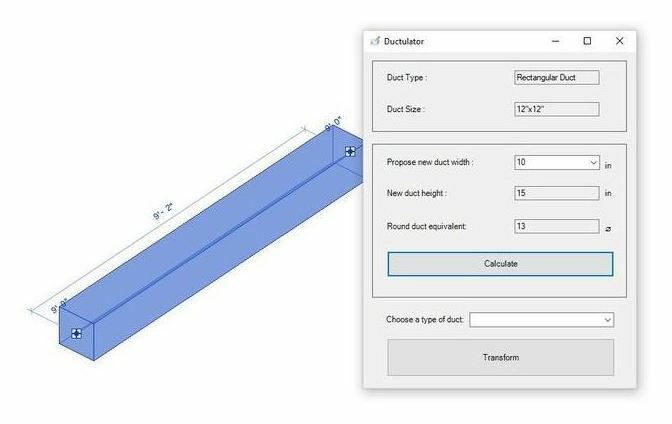 Have you ever had the task of manually resizing ducts in Autodesk® Revit® and you have been frustrated by the time it takes to find an old-school paper ductulator? If that is the case, then this app is for you! With Ductulator, you will be able to resize ducts in seconds by simply selecting a duct and selecting the size of one of the sides. Many clients have already tried this app and have directly included it in thier daily processes. Now the only way they resize ducts is with this app! Version 1.0.0, 10/9/2018 – Latest release ready to be used with rectangular, round and oval ducts. Ductulator is brought to you by Valentin Noves. It's free.